In 2002, Michael was introduced to the internet... and he was hooked! 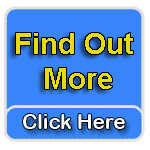 He saw the internet as the ultimate way to learn just about anything, and to reach thousands of people all over the world - instantly. Except for one class that he took when he was 15, he's had absolutely nothing to do with cake decorating, until 2005, when his mom's best friend for so many years asked him if he could help her put something on the internet. "Back in the day," Sam loved to decorate the most incredible cakes, and collected every book on the subject she could get her hands on. But, the one thing that really bothered her was that she could never find a true step by step book that was as good as, or better than, private lessons with a pro. So, she decided to write the ultimate how-to guide herself. Throughout the years while raising her family, she kept her cake decorating skills finely tuned, but, started going to fewer and fewer cake events and competitions, preferring to stay out of the limelight. She never considered herself photogenic, and said she never liked the way her voice sounded. So, she pretty much kept to herself. Chef Charity specializes in chocolate and sugar art, with particular regard for wedding cakes, as well as specialty and extreme cakes. Charity is a native of Southern California and was raised in San Diego. She wrecked 2 Easy Bake Ovens as a child so her mother decided to teach her to cook on the “big oven”. During her senior year of High School she went to work for a local cake shop where she cut, filled, iced, delivered and occasionally got to decorate cakes. She attended Brigham Young University for her freshman year of college, and then attended Le Cordon Bleu in London & Paris and Le Ritz Esscoffier in Paris, continuing her culinary education. 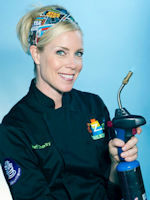 Most recently, she has worked exclusively with cakes and has been a contestant on TLC’s Ultimate Cake Off twice in season 2; winning the taste competition, and was most recently featured on TLC’s Fabulous Cakes and the Niecy Nash Wedding Bash. 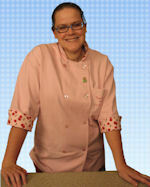 She has been a judge at numerous cake shows/contests and teaches sugar arts across the country to sold out workshops. When Tami's first child was born she wanted to make beautiful birthday cakes for him, like her mother did for her. After taking her first cake decorating course in 1990 she immediately became obsessed with gumpaste and started learning all she could about foreign technique. 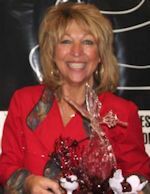 She started competing in 1991, and has won several Best of Show awards and numerous Best of Division and First Place awards. After a few years she started teaching and demonstrating. Tami loves to learn all she can and has had classes with Nicholas Lodge, Geraldine Randlesome, Carole Faxon, Debbie Brown, Jan Svenson, Eunice Borchers, Lynne Rigby, Maureen Stevenson, Steve Stellingwerf, Roland and Marsha Winbeckler, and Betty Newman-May, plus many others. She has worked as an assistant for Nicholas Lodge and Colette Peters in their classes. And she has been featured in American Cake Decorating Magazine several times and had her cakes in the ICES newletters. Although she specializes in foreign technique cake decorating including Lambeth, gumpaste flowers, flood work, brushed embroidery, and bas relief, Tami thoroughly enjoys all facets of sugar art! Susan enrolled in her first class about 10 years ago and after that, the "Game was On"!!! She just couldn't get enough of this wonderful world of Sugar Art. She then began entering cake shows, joining local cake clubs, and then proceeded to start teaching cake decorating classes just one year later. Approximately one year after that Susan began working as the Lead Cake Designer for a bakery in Dana Point, California, helping it to become one of the most sought out bakeries in Orange County. During that time, she started giving Sugar Art Instruction and Demonstrations across the nation. Susan's "Edible Works of Art" have won numerous awards and have been featured in magazines such as American Cake Decorator, as well as on the Food Network's show "Top Five". And, in addition to being a World-Class cake and cookie decorator, Susan has a real knack for making her lessons F-U-N! Laure'l Silverberg is a Cordon Bleu trained chef. She has been working in the pastry arts for more than twenty-five years. She is an active member of ICES and a former Board member. She is also a member of ACF, The British Sugar Craft Guild and an ICES approved instructor. Laure'l created a patented process for food-safe rubber stamps and currently teaches an adaptation of One-Stroke (tm) painting technique for sugar and chocolate through her company, The Sweet Palette. She is also an author, International Judge and her work has been featured on several national television shows and magazines. Amanda Hamilton is a multi-award winning sugar artist and the owner of LuLu's Sweet Art in San Diego, California. Amanda's first introduction to the world of cake was by her Great Aunt, Jan, who baked special occasion cakes from her studio in the Santa Cruz mountains. Amanda strayed from the world of cake for a while, earning degrees in English and History from the University of California, Davis. After starting a family and moving to the San Diego area Amanda turned her love of baking for her family and her memories of her Aunt's cakes into a new direction. Teaching herself techniques and entering in the competitive cake world, Amanda has earned multiple awards, including: “Grand Champion”, “Gold Certificate”, and “Best in Show” at the largest cake competition on the west coast, held annually in San Diego, as well as a Silver Certificate and 7th Runner up in the 2011 Oklahoma State Sugar Art Show Grand National Wedding Cake Competition, held in Tulsa, Oklahoma. Shelly Sicily is the newest video instructor for Yummy Arts. Her passion for baking began many, many years ago in the kitchens of her mother and grandmothers. As a child she was included in the mixing, icing, and most of all, tasting of some truly wonderful family recipes. These have been handed down three generations and are her source for making yummy cakes and cookies. At 16, she purchased cake tips and followed the instructions in a book. At 18, she enrolled in a course in cake decorating. Since then she has taken sugar art classes from Colette Peters, Kim Morrison, Rebecca Sutterby, Marina Sousa and Dawn Nemec, just to name a few. Sugar Art education is never ending! Shelly is a competitor at heart and has entered a few cake competitions. She received a silver award at the Oklahoma Sugar Arts Show in Tulsa in the Wedding competition in 2008 and First in the Professional Division with her Tiered Non-Wedding Cake entry in 2011. She has also placed 2nd and 3rd in the San Diego Cake Club's "Cakes on Parade" competition. Shelly truly has a passion to bake, and looks forward to creating sweet masterpieces for YummyArts! 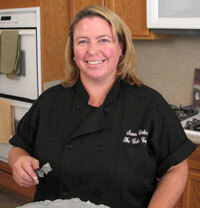 Peggy Tucker is a professional Cake Designer and Certified Master Sugar Artist specializing in teaching this fine art. She started teaching the sugar arts in 1999, and for over 6 years now she has specialized in creating beautiful creations with Isomalt (and now DECOgel!) as well as incorporating them into every day cake designs. From time to time she competes and has taken a number of awards. She thoroughly enjoys competitions for the challenges and experiences they present. However, she take more joy in watching her students advance and achieve medals of their own. 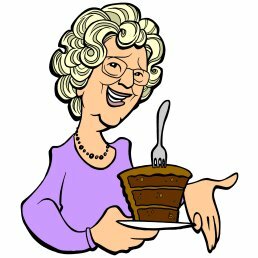 Peggy is an acting member of the following clubs: ICES (International Cake Exploration Societe), 3 C's (California Cake Club), San Diego Cake Club and Texas cake clue. 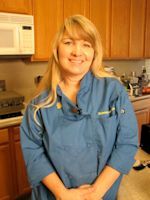 She has been featured on local Rochester News stations, in the Rochester Woman Magazines, Fox News, Food network and in several cake decorating magazines, ICES Newsletters and American Cake Decorating Magazines. This endeavor has allowed her to travel, teach, judge all over the world through her School of Cakeology. But, more importantly, she has acquired many new friends which is the best part of all. Ragni began her journey into the world of Sugar Arts back in 1991 after reading an LA Times article on Colette Peters. She purchased Colette’s book, Colette’s Cakes: The Art of Cake Decorating (1991) and began teaching herself how to decorate cakes. 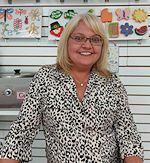 She has a Bachelor of Arts degree in Interior Design and when she is not using her creativity in the design field, she is using it as an Instructor at ABC Cake Shoppe in Orange, CA. The world of Sugar Art is a sweet addiction for Ragni. Always wanting to learn more, she has taken classes from Colette Peters, Nicholas Lodge, Ruth Rickey, Norm Davis and Zane Beg, Marina Sousa, Mike McCarey, Peggy Tucker and many others. Always up for a challenge, she has placed entries in local competitions bringing home numerous 1st place ribbons and Best of Show honors. Ragni loves to apply innovative and cutting edge design elements into her artisan work in the Sugar Arts. 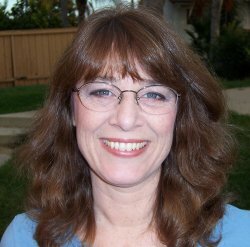 Cindy is the "voice" of YummyArts, and you'll find her working in many areas -- maintaining the web site, supporting customers, finding answers to computer-based issues, tracking this and hunting that. 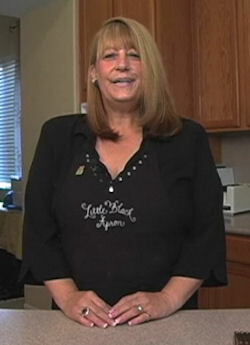 Given a past filled with a variety of icky, technical, corporate jobs, she discovered that her many years of experience in the Internet world and personal computers blended well with Michael's world of Cakes, Cookies and Candy! :-). Since joining the staff of YummyArts, Cindy married Ken Morrison in a Las Vegas with YummyArts members and decorators in attendance, and a ceremony which could be viewed on the Internet. It was a "sweet" union! Since 2008, Regina has been our resident night owl who loves solving customer problems! Being a work-from-home mom of a home-schooled teenager, she's able to keep a flexible schedule. Whether it's helping with your membership billing or store orders, computer problems or website issues, she's always up to the challenge- often when everyone else is asleep! Relatively new to the world of cake and cookie decorating, Regina is passionate about this new "world" and our YummyArts community, and her motto is that if you're not happy, she's not happy! Isabella is a transplanted English woman living in Panama, so our support team is truly Worldwide! And even though her hands are pretty full with two young girls, as a work-from-home Mom, and YummyArts support professional, she loves helping with any questions you have. From shipping notifications to cake and cookie decorating questions, to the occasional "Help! My Computer crashed!" issues, Isabella is always ready and happy to assist!